I am a huge fan of fudgy brownies. I don't even know why people make cakey brownies. If I wanted a cakey brownie, I would just eat chocolate cake. I am not that big into chocolate desserts and rarely ever make them, but warm chocolate brownies with vanilla bean ice cream is a craving I have quite often. There's no reason to make brownies from a box. 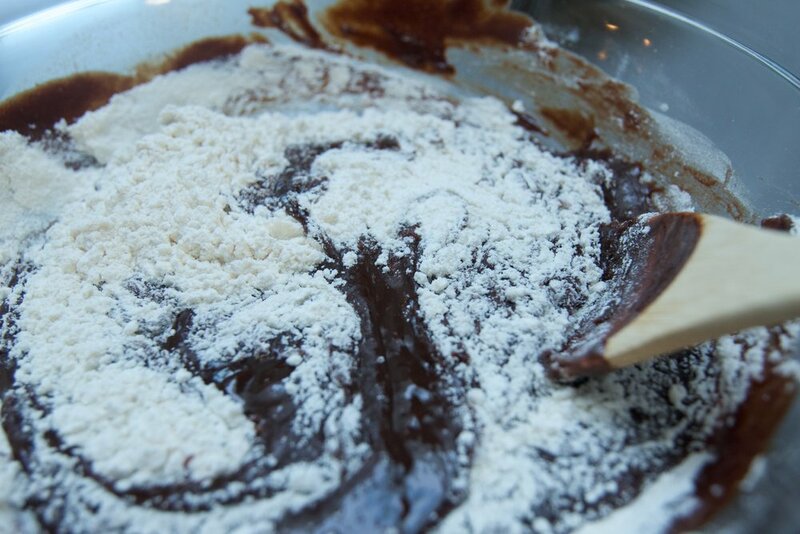 You can make these brownies in one bowl and they are so easy to make. If you can stir in circles with a wooden spoon, you can make these brownies. Whisk sugar, eggs, salt, and vanilla in a large bowl. Pour into pan and bake for 20-25 minutes. Let cool completely before cutting.